Step 2: On the left menu, go to Advanced Settings › Web Analytics. Note: In some versions of the control panel, this is located under Setup & Tools › Set up your store › Web Analytics. Step 3: On General Settings tab › Providers, make sure the box next to Google Analytics is checked. If not, check the box and then click on Save. The Google Analytics tab will appear beside the General Settings tab. 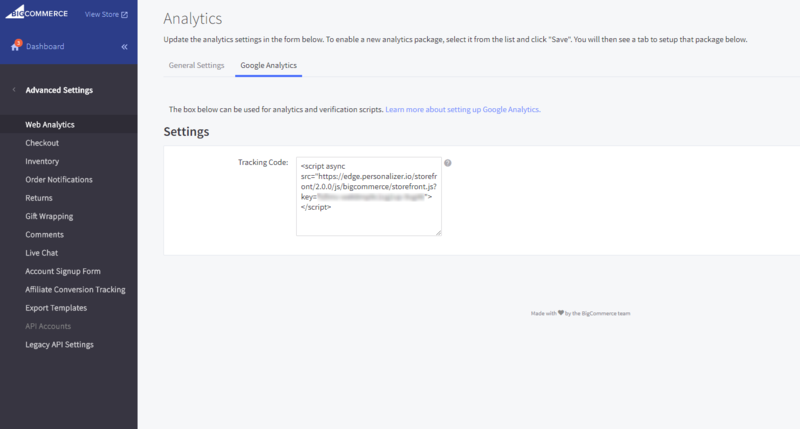 Step 4: Click the Google Analytics tab. Step 6: Save your changes. Step 7: Go back to your installation process on the other tab and click Verify. This knowledge base article is written based on the following article in the BigCommerce Guide. This is not the standard way of adding the script to your theme. 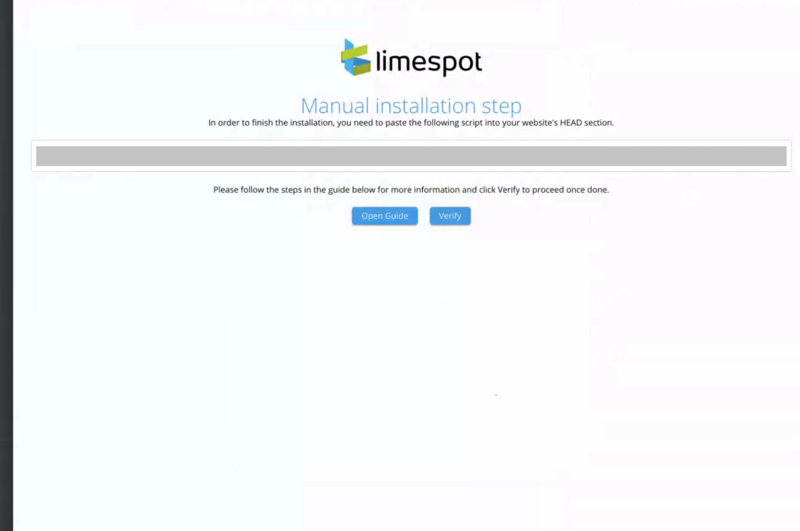 If you add your script the standard way, LimeSpot Personalizer features will only be available on your store's desktop version and NOT the mobile version. If your store does not have a mobile version or you're interested to see the standard approach, please refer to the BigCommerce Configuration (Standard Method, No Mobile) Article.